We spend so much time discussing work/life balance. The prevailing theory is that, in order to live a happy, healthy life, you need to keep your personal and work lives separate. But some people don’t keep their worlds apart. What happens when a married couple decides to take the plunge and start working together? While probably not preferred in most situations, opportunities for spouses to work together can arise. If you and your spouse currently face such a situation, you should be asking yourselves: Can we make it work – and should we even try? 1. Can Your Trust Be an Asset? If you and your spouse are both seeking employment from the same company and/or in the same department, you must first recognize that, from HR’s perspective, spousal hiring brings with it more than a few challenges. It can be seen as bad practice, and not every employer is okay with it. Therefore, it will be up to you and your spouse to argue why you should be the exception. While you may be tempted to downplay your marriage, it could potentially be used to your advantage. 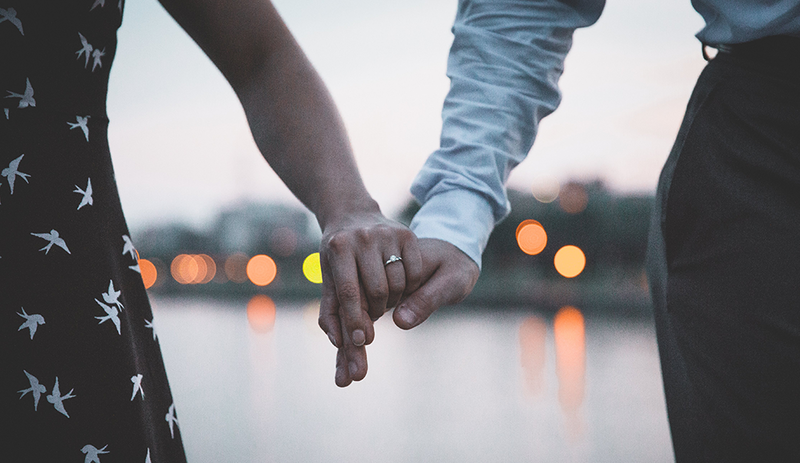 Employers look for trustworthiness and loyalty in their employees, and your marriage demonstrates that you and your spouse have these qualities. It doesn’t matter if you’re married, engaged, or just friends: It isn’t healthy for two people to spend every waking hour together. Normally, work would be a time for you and your spouse to get away from one another for a little bit. If you’re working together, you’ll have to find other ways. For example, you don’t have to eat lunch together every day, or even commute together. It’s also smart to leave home at home and work at work. Never bring personal issues with your spouse into the office, and don’t let job stressors impact your relationship at home. If one of you holds a higher position than the other, it can cause some jealousy. Any negative feelings associated with asymmetrical roles and/or pay should be addressed. If they aren’t, they can lead to anger and frustration, eventually damaging the marriage in the long run. One of the things employers fear most when considering the possibility of a couple working together is the couple’s tendency to pair off away from everyone else. This can hurt the company and/or team culture, creating an “use versus them” dynamic. When working in the same office as your spouse, you’ll need to make the extra effort to forge strong relationships with other team members. Seek them out for advice and friendship. Doing so will strengthen both your marriage and the company. For some, the idea of working with a spouse is a total no-go. Others, however, are drawn to it. It is possible to make working with a spouse go smoothly for all involved, provided you take the above issues into consideration.